Take Back Your Health: Why Take Chlorophyll - Why ALKALIZE YOUR BODY? Why Take Chlorophyll - Why ALKALIZE YOUR BODY? Chlorophyll is miraculous. It has SO MANY health benefits it makes it a true wonder-food. However, the most marvelous and amazing benefit it gives comes from the fact that its molecular structure is absolutely identical to hemoglobin except for the center atom. the job of hemoglobin (hemoglobin is so vital to the health of our blood - in fact, blood is approx 75% hemoglobin). It helps to rebuild and replenish our red blood cells, boosting our energy and increasing our well being almost instantly. Chlorophyll has the power to regenerate our bodies at the molecular and cellular level and is known to help cleanse the body, fight infection, help heal wounds, and promote the health of the circulatory, digestive, immune, and detoxification systems. Chlorophyll consumption increases the number of red blood cells and, therefore, increase oxygen utilization by the body. Chlorophyll also reduces the binding of carcinogens (substances that cause cancer) to DNA in the liver and other organs. It also breaks down calcium oxalate stones for elimination, which are created by the body for the purpose of neutralizing and disposing of excess acid. * Anti Carcinogenic: Chlorophyll protects against a whole host of carcinogens found in fungus-laden foods such as nuts and grains, the toxins from cooked meats, and air-borne carcinogens (from pollution). It blocks the metabolism in the body of harmful chemicals known as procarcinogens that damage DNA. Studies published in the journals Carcinogenesis and Food and Chemical Toxicology clearly display that chlorophyll inhibits carcinogenesis. * Antioxidant & Anti-inflammatory: containing high levels of the vitamins A, C and E, chlorophyll has strong antioxidant capacity and has also been found to help reduce inflammation. 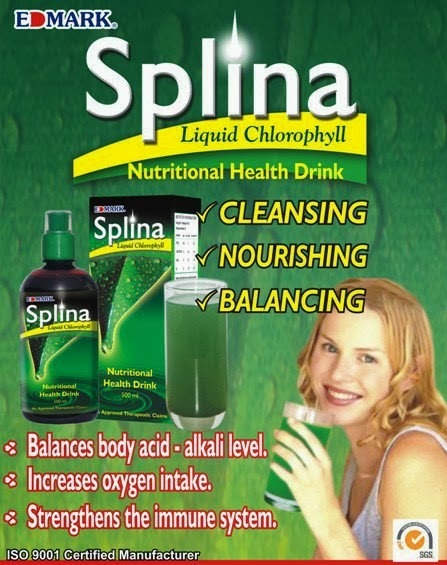 * Chelation of Heavy Metals: chlorophyll is one of the most important chelates in nature. It’s ability to bind to and remove toxic heavy metals such as mercury makes it an extremely powerful healer. I’m about to have four mercury fillings removed, and you can bet that I will be getting PLENTY of chlorophyll into my body after the procedure! * Antiseptic: while chlorophyll doesn’t actually have antiseptic properties of its own, it, quite remarkably, DOES have the ability to aid our body’s tissue in destroying germs. By strengthening tissue, it increases the disease resistance of cells and, at the same time, prevents the growth of bacteria! * Treats Bad Breath: This one is a real bonus and really works! 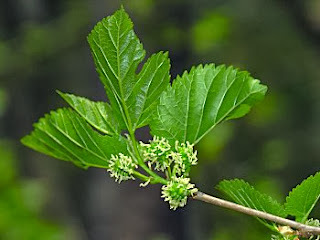 Chlorophyll has a double-action remedy for bad breath. Firstly, as a deodorizer, it will eliminate odours in the mouth and throat, but secondly (and more importantly) it promotes a healthy digestive tract - which is the primary reason for bad breath. * Rapid Delivery of Magnesium: this has a highly alkalizing effect on the body and helps to deliver much needed oxygen to cells and tissues. * Contains high levels of FOLIC ACID, IRON, CALCIUM, and PROTEIN: which are all also essential in building and repairing red blood cells and boosting our immune system. 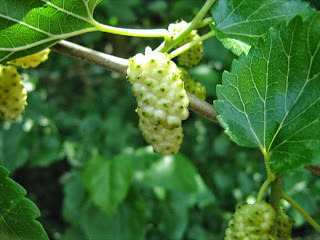 The Mulberry plant has been found to possess the highest amount of chlorophyll in it. Below is the picture of is outstanding plant. A healthy body causes weight loss, and not the other way round. A healthy non-acidic body will return to it’s natural, ideal weight. Aging is the result of damage to bodily tissues by organic acids and active oxygen (free radicals). Antioxidants reduces cellular and DNA damage caused by FREE RADICALS. Freed of TOXINS, your body’s cells, tissues and organs achieve a healthier state. A detoxified (detoxification begins in the colon – the colon is the first stage of detoxification), non-acidic body has MORE ENERGY AND VITALITY. Alkalizing your body promotes detoxification. Acidity in the body is related to diseases. Alkaline foods are FRUITS, VEGETABLES. All the healthy foods you have been told to eat are ALKALINE FORMING. Drinking alkaline water can help restore the body’s PH balance and reduce it’s acidity. Eat healthy ALKALINE foods and drink 6-8 glasses of alkaline water every day. stomach, it will ease your discomfort. bowels and improve this condition. concentration of water molecules, will help keep you hydrated and reduce discomfort. drink it one hour before eating. You would achieve the above when you use our GOOD LIFE WATER SYSTEM to purify your water and make it ALKALINE. 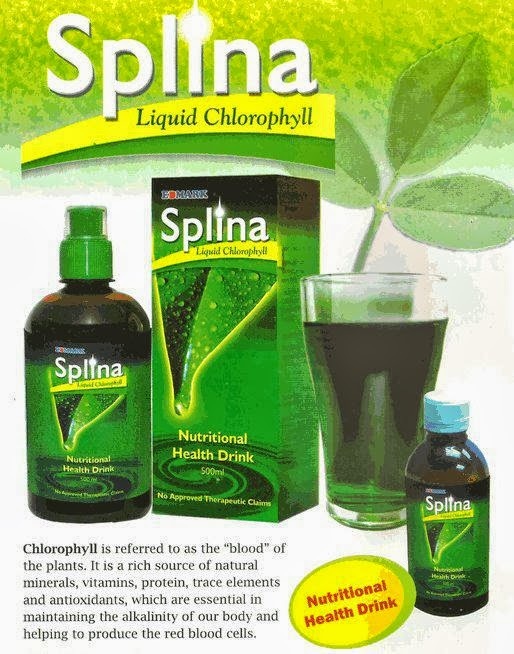 You can also drink our SPLINA LIQUID CHLOROPHYLL as well to achieve the same results. 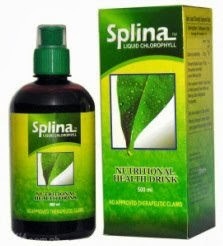 I’ll recommend you start using SPLINA LIQUID CHLOROPHYLL. 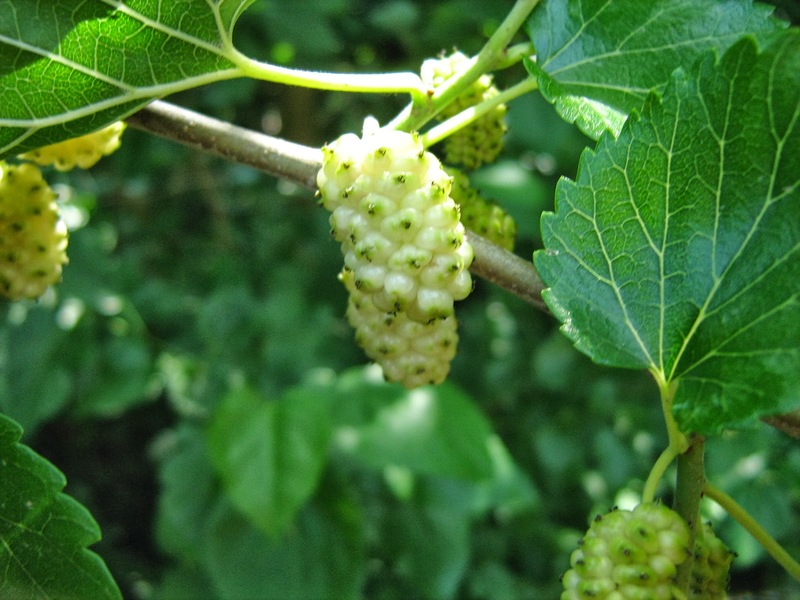 It’s made from the MULBERRY PLANT which has been found to possess the highest amount of cholophyll. It contains the finest grade of cholophyll and is FREE of preservatives. 1 TABLESPOON of pure splina is equivalent to 1kg vegetable consumption. Magnesium, Calcium, Pantothenic Acid, Iron, Zinc, Folic Acid, Chromium, Biotin, Phosphorous. EXCELLENT SOURCE OF NUTRIENTS - It is very high in RNA and DNA and has been found to protect against the effects of UV radiation. INCREASES BLOOD COUNTS - Assists red blood cell generation to ensure sufficient oxygen and nutrients for cell renewal. It helps to either cool or warm the body and adapt to environmental changes. BOOSTS THE IMMUNE SYSTEM - Accelerates tissue cell activity and normal re-growth of cells to help the body heal faster. INCREASES OXYGEN SUPPLY IN THE BLOOD - This helps maintain optimum blood flow all throughout the body, and regulates blood pressure to healthy levels. REDUCES WRINKLES AND AGING - The results are smoother skin, clearer complexion and youthful looks. - Discharges Toxins through Feces. Just call us to order yours NOW! • Can be used in their drinking water to maintain their health & less odor in feces. • Results in vivid colors. I am a Professional Network Marketer with a Weight Loss Management Company. I'm actively engaged in marketing as I call myself a student of marketing. I love to study wellness and nutrition because I strongly believe that YOU don't have to be a doctor to know the skin you're in. And, God is my boss!